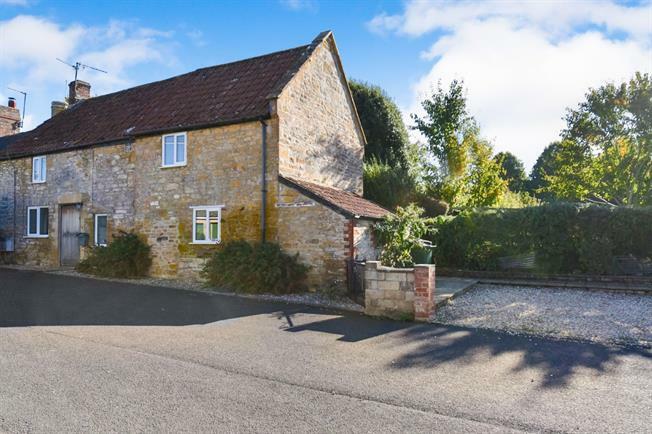 2 Bedroom Semi Detached Cottage For Sale in Yeovil for Offers in excess of £300,000. This fantastic, semi detached period property, offers well presented, good size accommodation, including a living room, second reception room, kitchen and cloakroom to the ground floor. To the first floor are two bedrooms, a shower on the landing and a bathroom. The property offers a patio to the rear, small lawn area to the side adjacent to the parking. The property further benefits from double glazing and gas central heating. Double glazed windows to side and rear, double glazed double doors to rear. Fitted with a range of wall and base units. Space for fridge freezer, oven and washing machine. One and a half bowl ceramic sink unit, flagstone flooring. Double glazed window, low level WC, wash hand basin, heated towel rail, tiled walls and flagstone floor. Double glazed windows to front and rear, feature alcove, radiator, television and telephone points. Access to roof space, shower with plumbed shower and tiled surround. Double glazed windows to front and rear, beams, radiator, television and telephone points. Double glazed window to front and rear, radiator, television and telephone points. Double glazed to rear, claw foot free standing bath, pedestal wash hand basin, heated towel rail, tiled walls, extractor fan and shaver point. To the rear of the property is a paved patio seating area, storage shed and patio path leading to the side of the property with a further patio seating area, small lawn area, plants and shrub bed. There is a gravelled parking area to the side of the property.